This name says it all! Waterway Vistas North Palm Beach homes are 35 custom single family estates, with about 1/3rd of the homes having direct Intracroastal access. 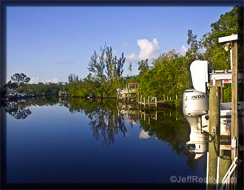 These waterfront properties are high in demand not only because they are on the water and canals but because there are no fixed bridges on the way to the inlets leading to the Atlantic Ocean. 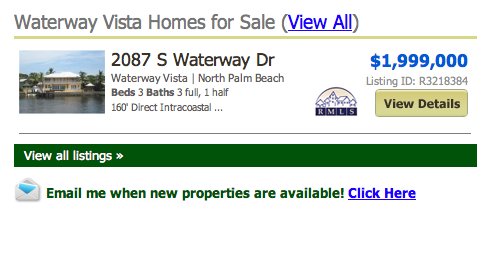 Waterway Vista Homes online now. All listings & Sold Statistics! This no cost homeowner association is family neighborhood living at its best. Homes on the water have gazebos, resort style pools, and boat docks. Here you will find everything from adorable ranches to Mediterranean newly built masterpieces. If you enjoy boating without the hassle of expensive homeowner association costs or are just looking for a great location at an affordable price without the luxury of the waterfront, then Waterway Vistas North Palm Beach real estate for sale might be for you. Posted in North Palm Beach homes, Uncategorized on September 25, 2011 at 4:05 pm.